Berlin to Warsaw – during the five and half hour train ride, we had a compartment to ourselves for the first hour of the journey! We were then joined by two German girls who we got speaking to for the remainder of the journey. They had been travelling for the past two weeks, and had lots of stories about bad transport and their hostels. We discussed our languages and German/English culture differences. It was great to meet some other travellers. On arrival we got the 175 bus to our hostel – the bus ticket was 3.60 PLN (polish zloty) which is about 80p. Bargain! Our Hostel was down a busy street of bars and restaurants, which we later found out was quite expensive in comparison to other places. Saturday – we woke up quite late and got some tasty ‘polish breakfast’ – scrambled eggs with bacon and onion, wellll tasty! Then we headed to the tourist information centre. Here we were guided to a few key places to visit. We also picked up a cool map which was for ‘young travellers’ written by locals. First stop was the remainder of the Warsaw Ghetto wall, from WW2. It was weird to see it after all the information we had read at the memorial for the Jewish in Berlin. We followed this with a trip to the Museum of the Warsaw uprising in August 1944. It was interesting to hear the individual stories of the people’s involvement, and link it back to all we had heard in Berlin. We next took the bus/walked into the old town. The buildings in this area were a complete contrast to the huge metal and glass skyscrapers that are featured in other parts of the city. We found something to eat at PRZEKASKI ZAKASKI, as recommended in our guide leaflet. 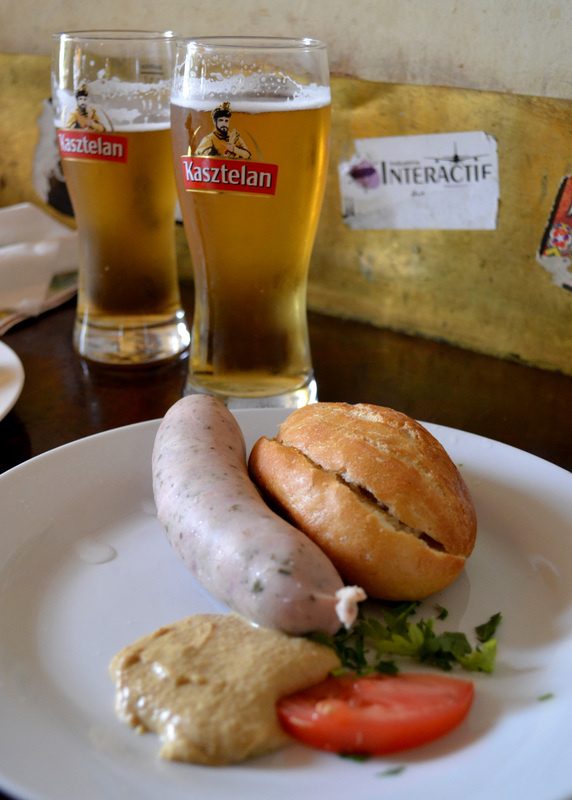 The food was polish and we washed it down with some beer and vodka shots – the polish bar experience (see photos)! Walking further into old town square we took a look across the city up St Anne’s Church (KOŚCIÓŁ ŚW. ANNY) which cost us about 40p to go up to the viewing tower. Everything is so much cheaper here, it’s hard not to want to compare to £ all the time! 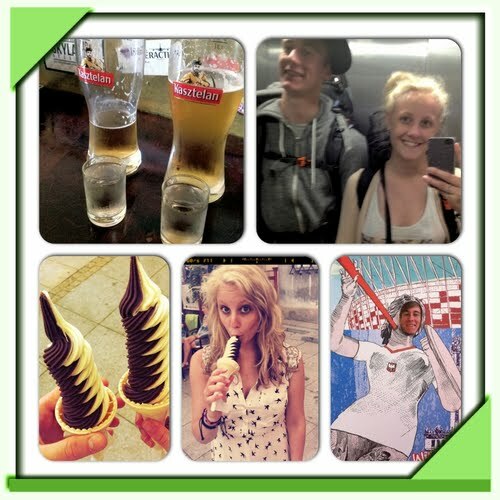 We chilled with another beer and got very tall ice cream on our way back to the hostel. We kept with the theme of eating different nationality food and had Mexican for dinner. We followed this up with some drinks and card games – so cheap here, and so fun! Sunday morning we checked out and had a different polish breakfast at a café near the hostel. We walked to see the famous mermaid statue but unfortunately it was hidden in a protective frame whilst they build a new metro line. We got on the 195 bus to Park Łazienkowski for a look around and a chill playing cards on a bench in the sunshine. After a huuuge lunch/dinner before the night train, we stocked up on some more food. 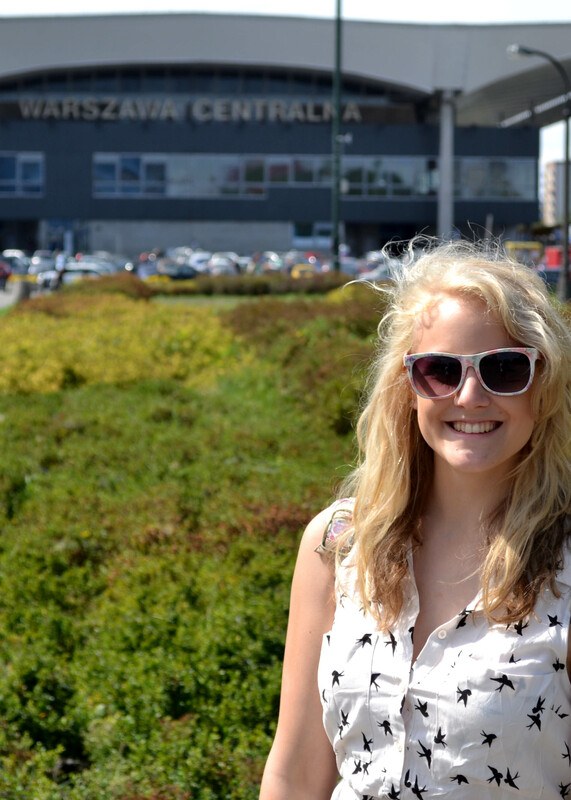 It’s been so fun seeing what Warsaw is like. It is incredibly cheap here in comparison to the UK, and we made the most of the good priced beer and food. 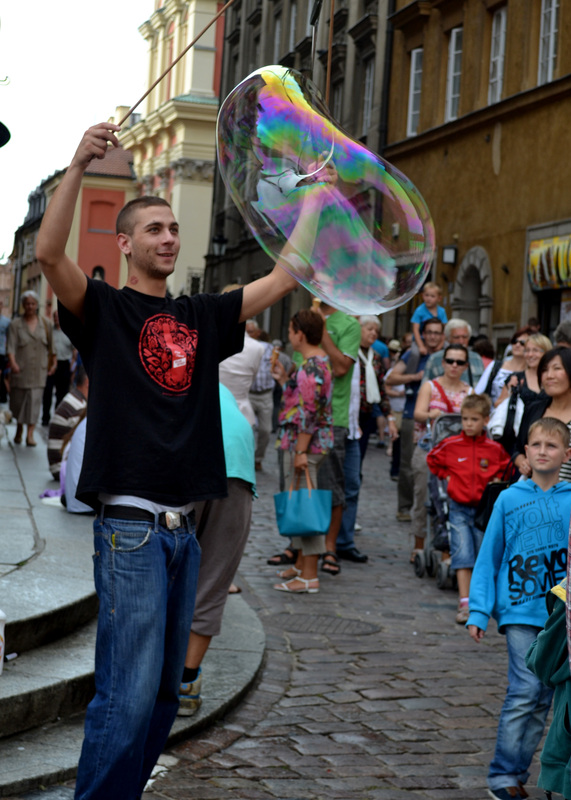 A really cool city which has loads to offer, and plenty to do and see!